Find out how to maintain your natural beauty from 18 to 80. What to know what you’ll look like 10 years from now? What you could look like? Today, my philosophy is to have smaller procedures over time to maintain your appearance of youth into your middle age when you can still appreciate it, instead of having drastic surgeries in your 60s when you are less able to appreciate it. What sets this guide apart? The best candidate for any cosmetic procedure, surgical or not, is a healthy patient with realistic expectations. Learn what makes a good candidate and if plastic surgery is right for you. Real before & after pictures. Real men and women aren’t models. See real pictures of patients before and after surgical and non-surgical treatments. 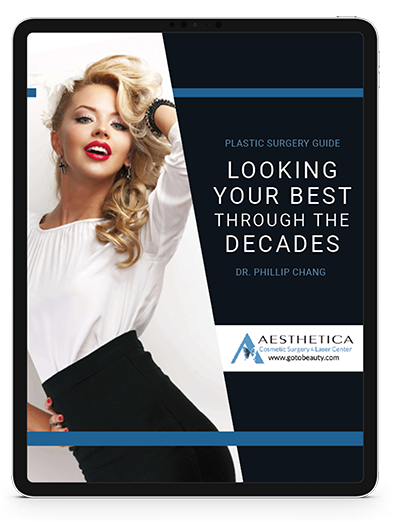 Enter your email here for instant access to over 50 pages of plastic surgery pictures and info.